Cute and compact, harbour porpoises show that good things do come in small packages. The English word ‘porpoise' is derived from the Latin word for pig – porcus. Rather unflatteringly, the harbour porpoise used to be known as the “puffing pig”, because of the sneeze-like puffing sound it makes when it breathes! 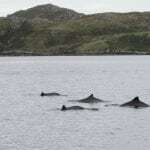 What do harbour porpoise look like? Harbour porpoises are relatively small compared to other dolphins. They have small, rounded heads with no beak and dark lips and chin. Equipped with robust, stocky bodies, they have predominantly dark brown backs with a pale grey or white underside, blending half way up their sides. A small triangular fin set just past the centre of the back is one of its very distinctive features. 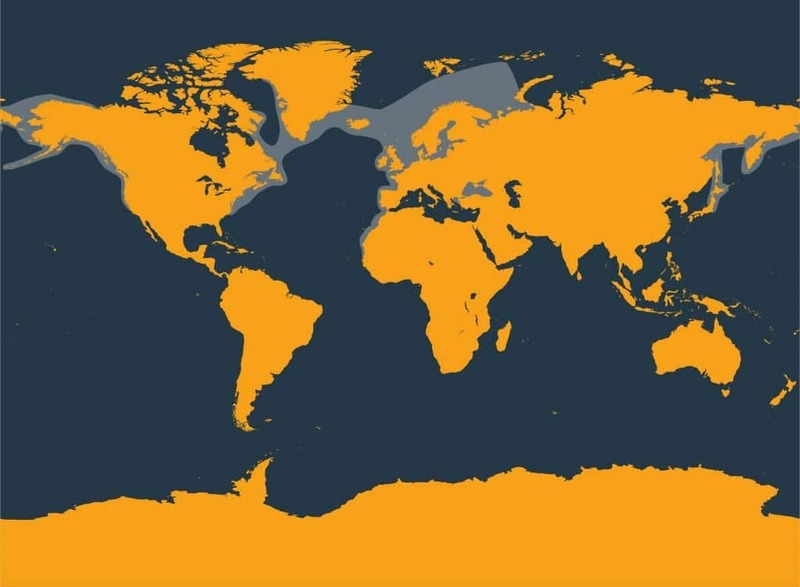 Four subspecies of harbour porpoise are recognised: P. p. phocoena in the North Atlantic; P. p. vomerina in the eastern North Pacific; P. p. relicta in the Black Sea; and an unnamed subspecies in the western North Pacific. 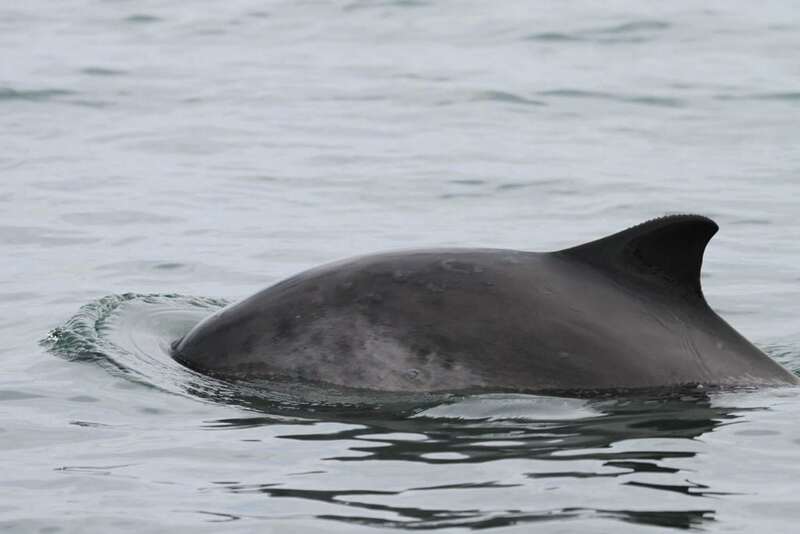 What’s life like for a harbour porpoise? Life for a harbour porpoise is by all accounts pretty fast and furious. They mature at an earlier age, reproduce more frequently and have a shorter lifespan compared to other toothed cetaceans (the collective name for all whales, dolphins and porpoises). Not only that but living with a high metabolic rate in cooler waters means that they need to feed continuously both day and night to provide the energy needed to survive. Each day, harbour porpoises will eat enough fish to replenish as much as 10% of their own body weight. Mostly seen on their own, harbour porpoises are sometimes found in small groups. The most common social grouping is that of mum and baby. Ideally, harbour porpoise like to eat small schooling fish, like herring, sprat and sand eels – and lots of them, too. Squid and octopus are also favourites and appear on the menu when chance provides. Harbour porpoises are found in coastal waters of the sub-Arctic and predominantly cool temperate waters of the North Atlantic and North Pacific, although they are also found off the north west coast of Africa. 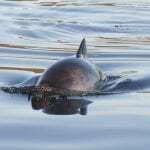 They frequently visit shallow bays, estuaries, tidal channels less than 200m in depth and have also been known to swim up rivers. 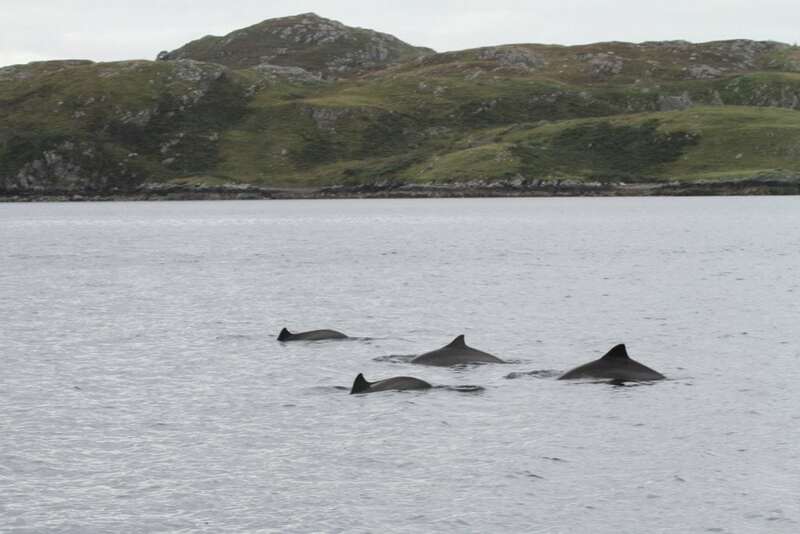 The majority of sightings occur within 10km of land and, although there is some evidence of north-south migrations, most harbour porpoise appear to have preferred habitat encompassing a broad area. Harbour porpoise are thought to only rarely ‘porpoise’ – the term given when a porpoise or dolphin moves at speed and comes completely out of the water. Thousands of porpoises suffer a slow agonising death every year as the result of entanglement in fishing nets. With your help we are working to stop this. Hunting – harbour porpoises are hunted off the coasts of both South Korea and Greenland as well as in several other countries around the world. 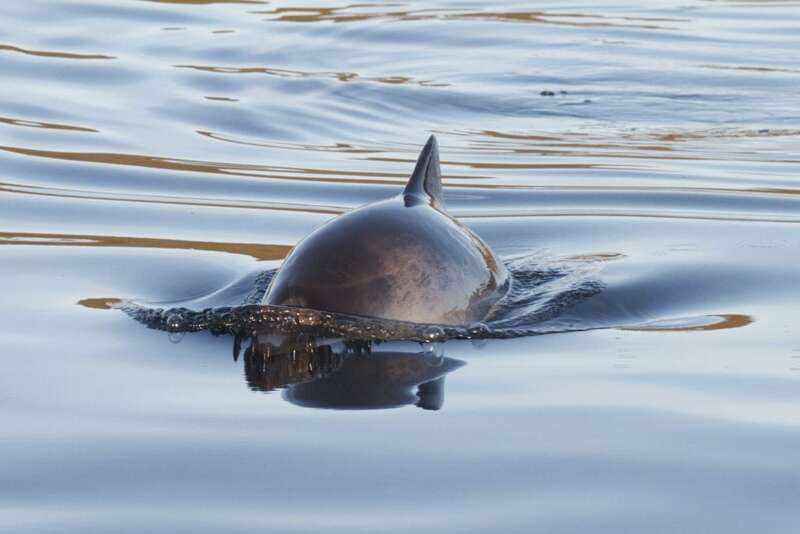 Pollution - toxic chemicals from plastic, litter and oil spills build up in harbour porpoise seriously harming their health and their ability to have young. 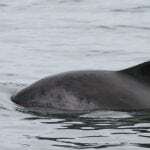 Noise pollution – harbour porpoises rely on sound to navigate and communicate. Noise from military sonar, oil and gas drilling and exploration, and shipping can disrupt and confuse them and even cause them to strand. Fishing nets and gear – harbour porpoises are known to get entangled in fishing nets, where they are condemned to a slow and painful death. By adopting a whale or dolphin, by making a donation, or by fundraising for WDC, you can help us provide a safe future for harbour porpoises.